This update includes a variety of bug fixes, plus further UI improvements for Dark Mode. 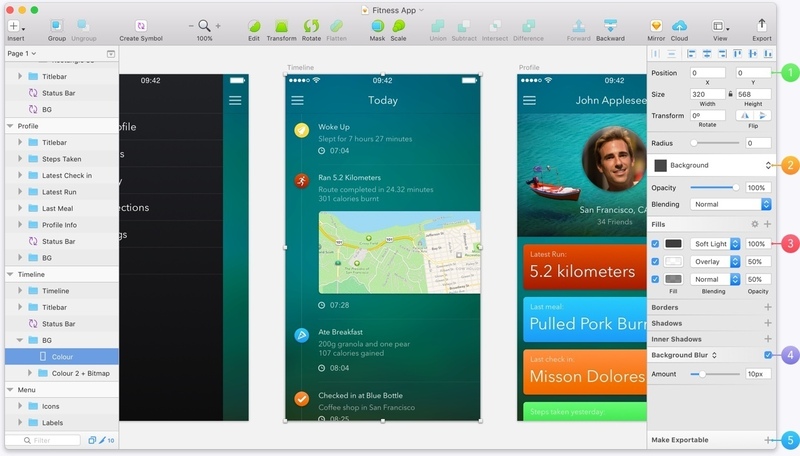 UI Redesign: Sketch now has a totally redesigned interface, improving usability and readability across the app. Improved Performance: Sketch is now more responsive when editing complex documents, rendering the Canvas, and selecting Symbols with many overrides. Dark Mode: We’ve added Dark Mode to Sketch for macOS Mojave. Nested Boolean Operations: Boolean Operations can now be applied to text layers, shapes with outlines, and Symbols. Data: You can now link layers to data sources on your Mac or use a custom plugin to create and generate text, images and other data in your documents. Style Overrides: Text Styles and Layer Styles inside Symbols can now be overridden just like nested Symbols, text and images. Next story Publisher Lab – Templates 4.4 – Unique page-template designs for Apple Pages. Previous story Infographics Templates for PPT 1.2 – Visualization graphics for PPT. Super Vectorizer 2.0.2 – Professional vector trace tool.